How to Make the Most of Your Content Outsourcing Experience? You are here: Home / Outsourcing / How to Make the Most of Your Content Outsourcing Experience? One of the biggest challenges website owners face is the need to update their website regularly with well written, relevant and targetted content. Given the fact that web visitors and search engines, both love fresh content and loads of it, webmasters must have a strategic plan, such as either hiring a skilled and talented full-time writer or a reliable writing service for content outsourcing so that they can regularly update their websites and blogs. Well written, relevant and fresh content attracts more traffic, wins customers and helps to secure good rankings on search engines. Also, if you are a business owner, running your website for a number of years, you must also put in efforts to give your website content a makeover. There has been a lot of debate about which is better – employing a team of full-time writers in-house or outsourcing content creation to freelance writers/content writing firms. If you look at the facts, you will realize that employing full-time writers on the company’s payroll only makes sense when there is a regular flow of work for them to do throughout the month. If not, an in-house team becomes more of a liability, what with having to pay monthly salaries to them irrespective of the amount of work they actually accomplish every month. 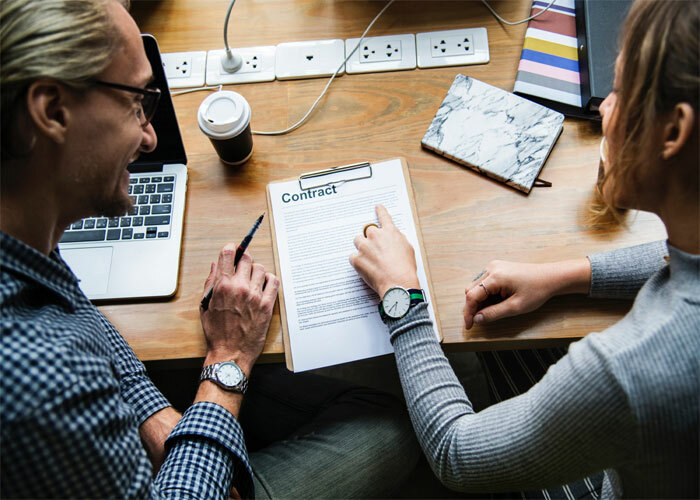 In sharp contrast, when you outsource your content writing requirements to a freelance writer or a professional content writing firm, you get to enjoy greater flexibility as you hire them only when you have a requirement, thus cutting down unnecessary overhead costs. Do You Want to Outsource your Content Writing Needs? Do you want to add fresh content and articles to your blog or website? Looking for someone to publish press releases about your company events, new product launches and more? As a rule of thumb, it is best to outsource those tasks which are (1) repetitive in nature, (2) do not need your particular expertise and (3) generally consume more of your time, thus keeping you from concentrating on your core competencies. Once you have decided to outsource content creation, the next step is to (Google) search for a reliable content writer / reliable content writing firm. It is good practice to contact a number of individuals/companies so you can shortlist the best, depending on who best meets your specific requirements. You will find answers to a lot of your questions when you read through the content service provider’s FAQ page on their website. Your aim should be to hire someone who is responsible, thorough, meets deadlines and is proficient to do the job better than you rather than selecting the cheapest service. These days, content writers and writing firms have varying pricing plans such as hourly rates, per-project rates and per word rates. If you have a budget in place, you will be able to narrow down your search and move one step closer to finding a writer who can work within your budget. The decision to outsource content writing to a third party is great. However, if you want this tie-up to deliver results that match your expectations, you must pay attention to the manner in which you communicate your content requirements. The writer must have a clear understanding of what you need from them in terms of quality, content focus, voice, and depth. You must encourage the writer to come back to you with relevant questions and queries. Your business is unique and this is why it is important for you to provide the writer with as much background information about your company and business as possible. Usually, writers will send you a detailed questionnaire for you to fill with company-specific information. Even if they don’t, it is in your best interests to give them access to information about your setup, your people, your company vision and more. Do not be unrealistic and expect the writer to come up with everything from scratch. 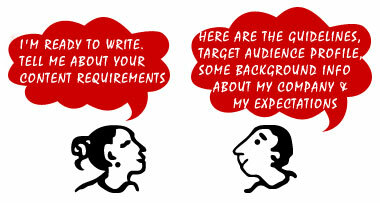 It is your business and only you can paint an accurate picture of your company to the writer. The writer’s job then is to understand your briefs and create content that reflects your business ethics and personality to the readers. Let the writer know the date by which you would like the writing job to be completed. The deadline should be discussed right in the beginning so that there is no room for delays or mistakes. It will also enable you & the writer to work together amicably. Additionally, you must also understand their terms and conditions when it comes to reworking and revisions. Usually, most firms offer one round of revisions and edit, free of cost. Your first project with a new writer or a writing company will give you a more or less clear idea of the quality they deliver. If you have some concerns, discuss them early on so that the problem is addressed in a timely fashion and the required changes are duly made. If you have found the right content-outsource-partner for your writing needs, you must value their association and give them your positive feedback. If you’re unsure about content outsourcing and how to select the right writing service for your needs, why not hire a dependable and experienced content writing services provider like Content Writer India?